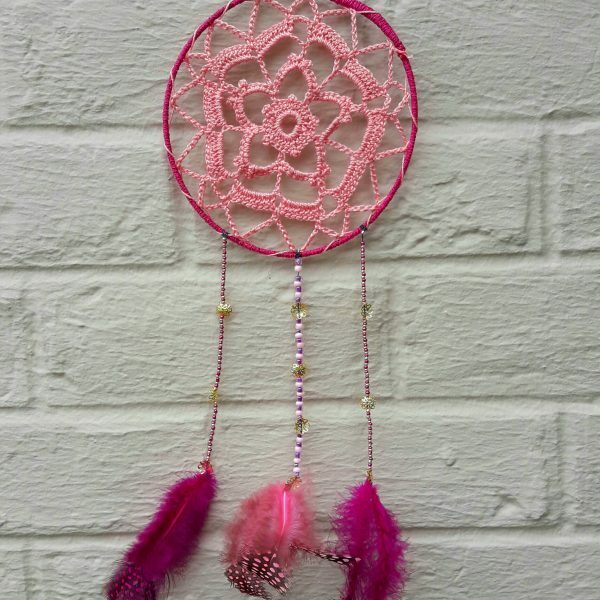 PDF Pattern for beautiful Romantic Pink Dream Catcher. Pattern includes 6 pages with photos and written instructions to crochet your own dream catcher. 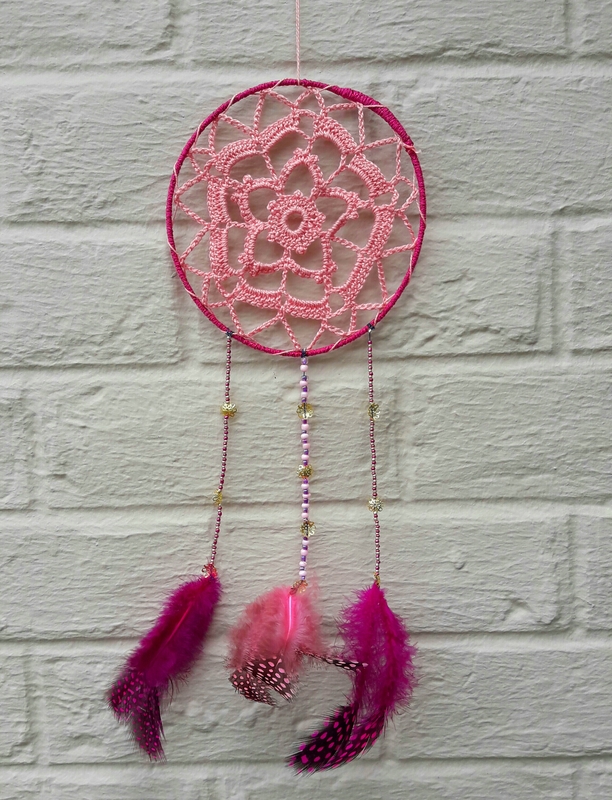 This beautiful Romantic Pink Dream Catcher is a very fun project to make! This pattern is suitable for those with little to some crochet knowledge. Copyright: Pattern may not be copied, sold, or distributed on any publication. Sale of finished item is permitted but please include a link back to my shop or website (missbikinitrader.com).